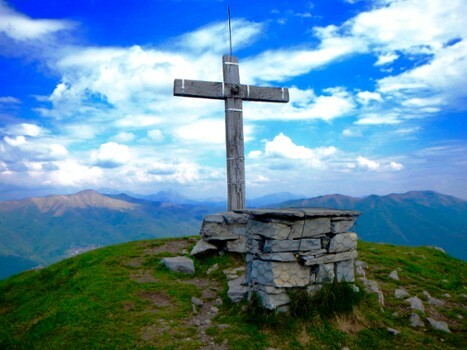 A hike that starts not far from Como with spectacular views of Lake Como and the Italian and Swiss Alps, Monte Colmegnone (m 1.383) is also known as Poncione di Laglio. 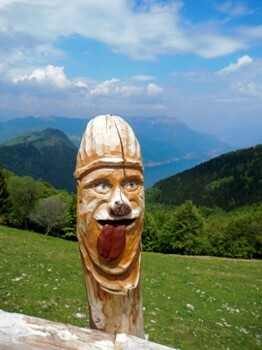 The altitude gain of the hike is about 1000 meters. You can reach it from either the towns of Laglio, Carate Urio, Moltrasio, or Cernobbio near Como. 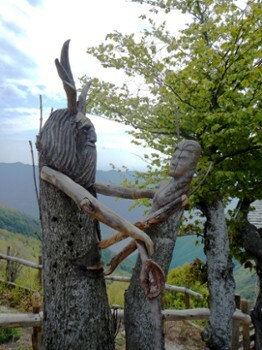 You can also reach it from Schignano in the Val d’Intelvi above Argegno by following the "Via dei Monti Lariani". The Bear's Cave or Bear's Hole, is found on the northern extreme of Laglio, in the Torriggia area, at about 400 meters above Lake Como. 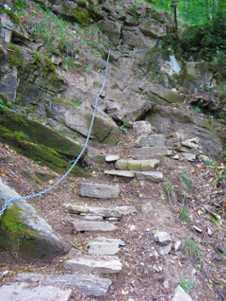 You arrive by climbing from Torriggia via a mountain path. The grotto is famous for the petrified bones found there, not only from bears, but many other animals that have become extinct through the centuries, a place of worldwide importance. Monte Colmegnone is in the Luganesi Prealps. It is found in the first stage of the Via Dei Monti Lariani that goes from Cernobbio to San Fedele Intelvi. 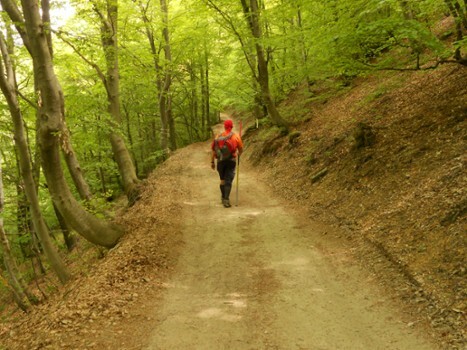 The Via Dei Monti Lariani is a hiking trail with 4 stages that connects Cernobbio in the south near Como to Sorico at the north end of Lake Como. 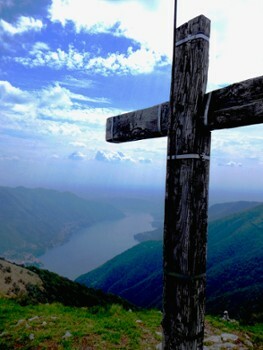 The small town of Rovenna can be easily reached from Cernobbio even with public transit. From near the cemetery where you leave the main road you begin walking on a path that climbs towards Segantini Scarone-Monte Bisbino following the Sentieri Lariani (n.1). After about 50 minutes, near Madrona, you will cross a paved road which will you take to the first switchback where you will again take a path on the left. Continue on the path until you reach the small church of San Carlo where you will again cross the paved road and take the path towards Ca Bossi where you will arrive after about 2 hours from when you started walking. You can also get to this point by car. Take the path on the right just below the main road which after 20 minutes will get you to Monte Bisbino. 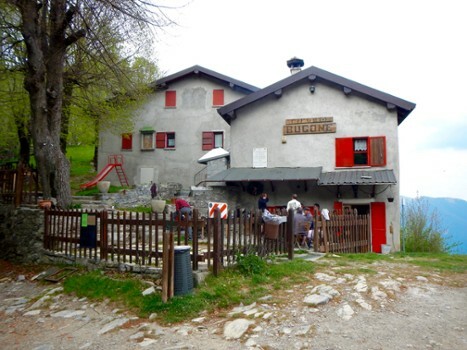 Continue toward Rifugio Bugone which you will reach in about 20 minutes along a downhill and flat path. From here continue on an easy path to Rifugio Murelli. 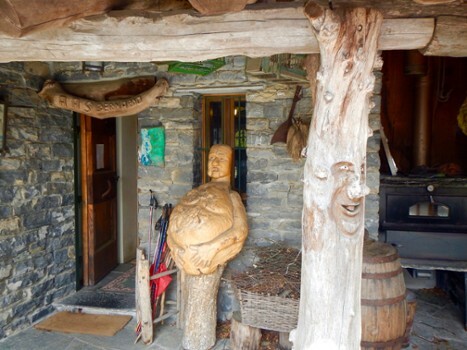 Both rifugios of have have food and accommodation. 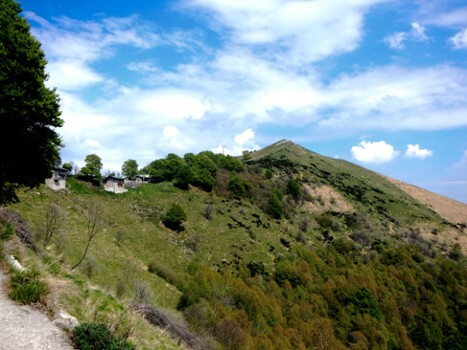 At this point you will see the summit of Mount Colmegnone which you can reach in about 40 minutes after passing the church of San Bernardo and the Farm Roccolo San Bernardo. 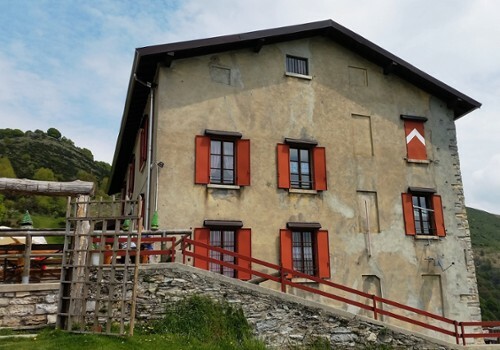 It takes about 3 hours to reach Monte Colmegnone, but once there you can relax while admiring spectacular views of Lake Como from Como up to Argegno and the surrounding mountains such as Monte Legnone, the Grigne, Monte Generoso, Bisbino and Sasso Gordona. In the distance you will see the Italian Alps including Monte Rosa and the Swiss Alps including the Matterhorn in the far distance. 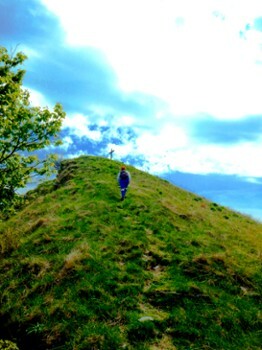 Stroll through a manicured garden or hike atop a snow covered mountain. Nearby Things to Do include: Monuments such as Joseph Frank Pyramid Mausoleum and Monument to the Fallen; Water Activities such as Careno Beach and Lido di Moltrasio; Villas such as Villa Oleandra and Castello di Urio; Towns such as Carate Urio and Brienno; Churches such as San Giorgio and Church of Saints Nazario and Celso; Parks & Gardens such as Nesso Orrido and Park Casa Prandoni.